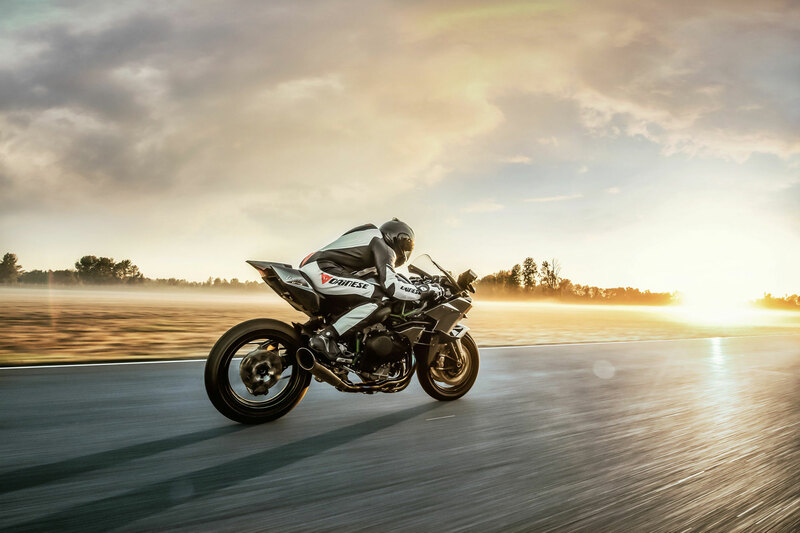 The Kawasaki Ninja H2™R is the ultimate performance motorcycle, built using state of the art technologies with cooperative development across Kawasaki’s high-performance motorcycle, aerospace and gas turbine divisions. Since it is designed exclusively for closed-course use, the Ninja H2R is a pure exercise in pushing the limits of technology. The result is the most powerful, distinctive, brutally functional and modern motorcycle ever offered. For those ready for the ride of a lifetime, the Ninja H2R will propel them like no other production motorcycle can. The Kawasaki Ninja H2™ R hypersport motorcycle once again returns as a class leader and one of the most sought-after motorcycle on the planet. The subject of multiple awards from US leading publications, a current fixture in museums such as Barber Vintage Motorsports Museum in Birmingham, Alabama, and drawing contagious attraction in all videos in which it is featured, the supercharged Kawasaki superbike continuously proves that it is the people’s choice in the two-wheeled motorcycle world. Kawasaki set out to create a factory-built motorcycle, where Kawasaki engineers were able to pursue unadulterated performance without the limitations of street or racing homologation. The first four-stroke, supercharged motorcycle from a major manufacturer, the Kawasaki Ninja H2R produces once unheard of power for a factory-built motorcycle. It’s truly Built Beyond Belief. In order to create a version that was not only street legal, but also street capable, the Kawasaki Ninja H2 sportbike was born, using engineering shared from the Ninja H2R. The Ninja H2 was developed using the technology from the Ninja H2R model, but worked within the street-legal and street-capable parameters, creating a motorcycle that’s also Built Beyond Belief. This incredible duo shares many of the technologically advanced components, including the 998cc inline four-cylinder engine, proprietary supercharger, trellis frame, compact superbike dimensions, aerodynamic bodywork, single-sided swingarm, powerful Brembo® brakes and much more. 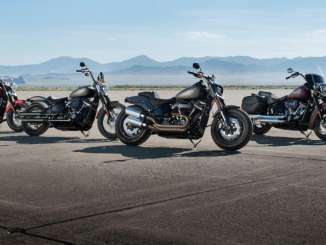 For the 2017 model year, Kawasaki Motors Corp., U.S.A. (KMC) will be offering another order period for customers who are anxious to own one of these exclusive machines. Adding to the amazing pair of motorcycle is the new 2017 Ninja H2 Carbon, a special, limited edition model that features a beautiful carbon-fiber front body work and special insignia. The launching point for the development of the Ninja H2R was a strong desire to offer riders something they had never before experienced. The bike needed to deliver intense acceleration and an ultra-high top speed, coupled with supersport-level circuit performance. The H2R has fully encapsulated what it is like to ride a Kawasaki Ninja. 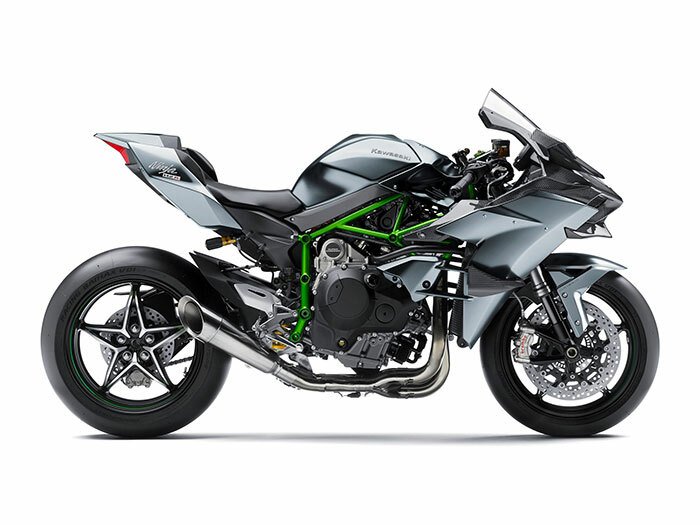 Ninja H2 is fully street-legal, Ninja H2R is designed for closed-circuit use on the racetrack. The 2017 Kawasaki Ninja H2 and Ninja H2R sportbikes receives a new Ohlins TTX shock, a quick shifter that allows for quick auto-blip down shifts and the Bosch 5-axis IMU. 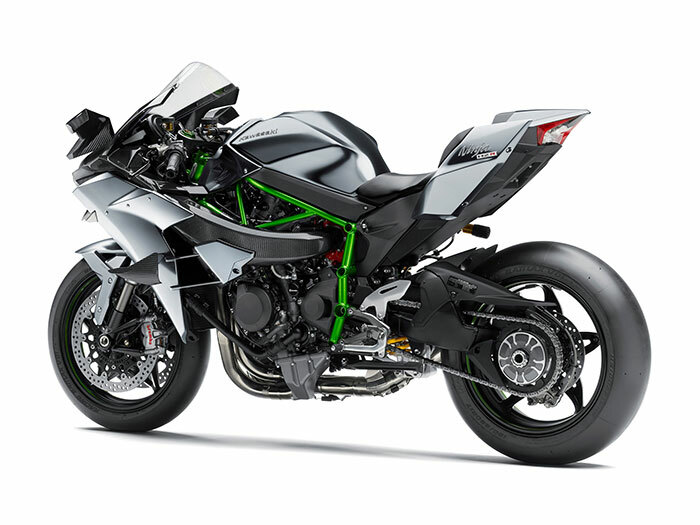 Thanks to the Kawasaki proprietary software that works with the IMU, the Kawasaki Ninja H2 and Ninja H2R feature a six axis of measurement creating the most advanced electronics package. The stylish appearance of the standard Ninja H2 is available in Mirror Coated Spark Black. Kawasaki introduces the 2017 Ninja H2 Carbon motorcycle, a limited edition, limited production Ninja H2 model with special features. As one of only 120 units produced worldwide, each Ninja H2 Carbon is individually numbered and features a serial number stamped into the supercharger plate on the right side of the engine. Further enhancing its classy look and high quality, the Ninja H2 Carbon features a beautifully constructed carbon fiber upper cowl. 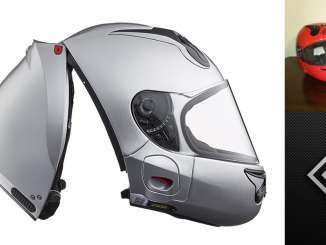 This front section of the motorcycle is built in highly rigid, lightweight CFRP (carbon-fiber reinforced polymer). The upper cowl instantly distinguishes the Limited Edition from the standard Ninja H2. Creating an image similar to that of the Ninja H2R, the carbon-fiber piece gives the Ninja H2 Carbon enhanced presence. Further distinguishing the Ninja H2 Carbon model is a new variation of Kawasaki’s silver-mirror paint featuring a matte element. The new paint is the same as on the closed-course Ninja H2R model. With the addition of the new Ninja H2 Carbon, and the new components of the Ninja H2R and Ninja H2, these three supercharged sportbikes remain the most exciting motorcycles available, and their limited availability ensures exclusivity for their owners. The Ninja H2 Carbon is a beautiful piece of machinery and to set it even further apart from the pack, it features Mirror Coated Matte Spark Black paint, further aiding in the unique design. The use of Bosch’s compact IMU is new for 2017 and allows an additional layer of precision to be added to the already high-level components. The system uses minimal hardware but complex Kawasaki proprietary software. IMU enables inertia along 6 DOF (degrees of freedom) to be monitored. Acceleration along longitudinal, transverse and vertical axes, plus toll rate and pitch rate are measured. The sixth axis, Yaw rate, is calculated by the ECU using Kawasaki original proprietary software developed through World Superbike racing experience. Additional feedback from the IMU gives an even clearer real-time picture of chassis orientation, and is uniquely predictive as it combines chassis orientation information with real time monitoring of the rider’s intentions to enable the control systems to maximize forward acceleration, right up to (but not over) the limit. The KTRC system used on the Ninja H2 and H2R sportbikes combines the best elements of earlier Kawasaki TRaction Control Systems. Multi-level modes offer riders a greater number of settings to choose from, with each mode providing a different level of intrusion to suit riding conditions and rider preference. And all modes are designed to manage output if wheel slip occurs. The system offers both enhanced sport riding performance and the peace of mind to negotiate surfaces with confidence. Riders can choose from nine modes, each offering a progressively greater level of intrusion (previous years offered 3 rider modes). Riders may also elect to turn the system off. Modes 1-6 are tailored for circuit riding, while Mode 7-9 settings were optimized for street-like conditions. The KTRC system combines the logic and control of Kawasaki’s earlier traction control systems (S-KTRC, KTRC) in each mode. Primary operation is similar to S-KTRC, which prioritizes maximum forward acceleration. 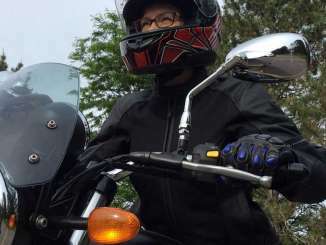 But should excessive rear wheel speed be detected while operating in any mode, engine output is reduced to a level where grip can be regained, facilitating smooth riding. Highly sophisticated programming allows a degree of slip—a certain amount of slip is required to maximize acceleration. The ideal slip ratio varies according to conditions, so the system looks at a number of parameters to get an accurate real-time picture of what is going on: front and rear wheel speed (slippage) and various engine, machine and rider input parameters are monitored. Because the sophisticated software bases its dynamic analysis on the chassis’ orientation relative to the track surface (rather than relative to a horizontal plane), it is able to take into account corner camber, gradient, etc., and adapt accordingly. It also automatically adjusts for tire wear, different tire profiles, high-grip tires, and numerous other factors that setting-type systems treat as fixed parameters. Using complex analysis, the system is able to adjust for unfavorable traction conditions. By acting before slippage exceeds the range for optimum traction, drops in power can be minimized, resulting in ultra-smooth operation. Designed to assist the rider by optimizing acceleration from a stop, KLCM electronically controls engine output to prevent wheelspin and control wheel lift when launching. Riders can choose from three modes, each offering a progressively greater level of intrusion. Each mode allows the rider to launch from a stop with the throttle held wide open. Kawasaki’s supersport-style ABS is standard equipment on the Ninja H2 and H2R motorcycles. This is based on the same system used on the Ninja® ZX™-10R sportbike, with programming and settings revised to suit the performance parameters of the Ninja H2 and H2R. High-precision brake pressure control enables the system to avoid reduced brake performance due to excessive pressure drops, allows lever feel to be maintained when KIBS is active, and helps ensure ABS pulses feel smooth (not heavy). Ninja H2R and Ninja H2 were the first Kawasaki motorcycles to be fitted with a standard quick shifter. Complementing the engine’s strong power and the dog-ring transmission, a contactless-type quick shifter enables rapid upshifts for seamless acceleration. A great deal of work was done to ensure the engines in both the Ninja H2R and Ninja H2 cope with the supercharger application. The combustion chamber design, for example, is complemented by durable flat piston crowns. The shape was inspired by the pistons used in the Green® Gas Engine developed by Kawasaki’s Gas Turbine & Machinery Company, contributing to the engine’s anti-knock performance. The Ninja H2R and Ninja H2 were the first motorcycles to include a knock sensor, for increased protection of the engine in extreme conditions. The intake valves are stainless steel, while the exhaust valves are formed from two materials – Inconel and heat-resistant steel – that are friction-welded at the center. This design is able to withstand the high exhaust temperatures produced under hard acceleration. The supercharger was designed in-house by several companies within Kawasaki Heavy Industries, Ltd., thus allowing the opportunity to perfectly match the engine characteristics of the Ninja H2 and H2R. The supercharger’s high efficiency and minimal heat gain meant an intercooler was unnecessary, allowing savings in both weight and space. The supercharger is located centrally, behind the cylinder bank, in the best position to evenly distribute the compressed air to all four cylinders. The supercharger is driven by a planetary gear train, which runs off the crankshaft. The gear train increases the impeller speed up to 9.2x the crank speed (1.15x step gear with an 8x planetary gear). This means at a maximum engine speed of approximately 14,000 rpm, the impeller shaft is spinning at almost 130,000 rpm. To facilitate smooth, quick shifting, a dog-ring-type transmission was selected. This is similar to the kind commonly found in MotoGP™ racing vehicles and was developed with the Kawasaki Racing Team (KRT). The dog-rings are lighter than conventional transmission gears, this type of transmission offers significantly lighter shift effort, facilitating quicker acceleration. A high-quality clutch with assist and slipper function that can be found in the Ninja H2’s transmission. The clutch results in a 40% lighter pull and stronger clamping force during clutch engagement. The previous Brembo parts are used for both the clutch lever’s radial-pump master cylinder and clutch release mechanism, giving superb linearity and smooth actuation. Additionally, the back-torque limiting Slipper function of the clutch contributes to stability by helping to prevent wheel hop during aggressive downshifts. A trellis frame for the Ninja H2R and Ninja H2 motorcycles offers an elegant, lightweight solution to meet the performance requirements of the street version Ninja H2 and closed-course Ninja H2R. Able to harness the power of the engine, it has a balance of stiffness and flexibility that contributes to performance while being able to handle external disturbances at high speed. Its open design also helps to dissipate heat generated by the supercharged engine. 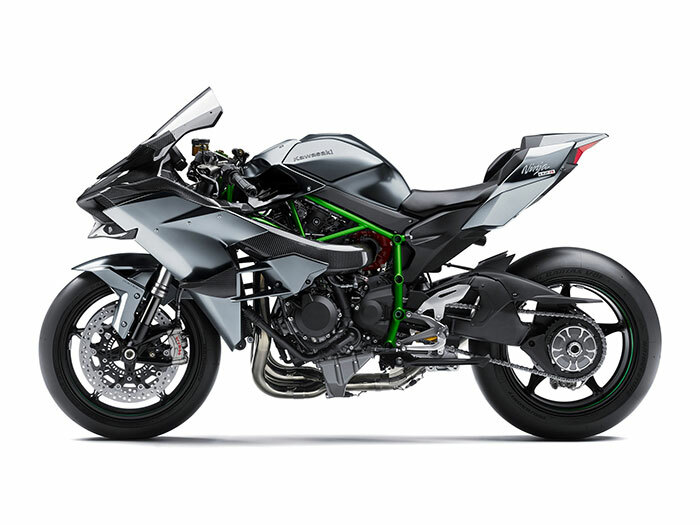 The Ninja H2 and Ninja H2R feature the first Kawasaki production single-sided swingarm. Having a single-sided swingarm allows the exhaust pipe to be mounted closer to the bike’s centerline, providing a high bank angle for sporty cornering. The KYB AOS-II (Air-Oil-Separate) 43mm front fork on these innovative motorcycles is designed for low friction, with a smooth initial action followed by strong damping at the end of the stroke. A fully adjustable Ã–hlins TTX rear suspension offers superb stability, which contributes to enhanced cornering performance. TTX shock features a patented concept with a unique concentric twin tube design. Also contributing to the shocks minimal friction loss, the 36mm main piston, inner and outer cylinders are all made from lightweight, highly rigid aluminium alloy. The top of the rear shock mounts to the swingarm mounting plate, doing away with the need for frame cross members. The bottom of the rear shock is mounted via a Uni-Trak® linkage that offers excellent feedback for rear tire grip and has updated ratios for 2017. The linkage, situated below the swingarm, also mounts to the swingarm mounting plate. Given the high-speed potential of the Ninja H2 and Ninja H2R sportbikes, the brakes were carefully chosen. A front Brembo radial-pump master cylinder and reservoir receive extra examination and adjustment before being shipped to Kawasaki. A pair of massive 330mm Brembo semi-floating front discs, with a thickness of 5.5mm, deliver excellent braking force. Dual radial-mount Brembo M50 cast monobloc calipers grip the front discs. The rigid, opposed four-piston calipers with 30mm pistons contribute to the braking power of the Ninja H2 and Ninja H2R. A large 250mm disc generates strong braking force at the rear as well. Unlike a mechanical steering damper – in which the settings, once fixed, must cover all riding conditions and speeds – the damping characteristics are changed electronically, according to vehicle speed and the degree of acceleration or deceleration. At low speeds, the settings were chosen so that damping does not interfere with the bike’s intrinsic lightweight handling. At high speeds, damping increases to provide enhanced stability. Kawasaki’s electronic steering damper was developed in conjunction with Ã–hlins, one of the most popular and respected steering damper manufacturers. The electronic steering damper provides just the right amount of damping based on what the bike is doing. Using input from the rear wheel speed sensor (provided via the engine ECU), the electronic steering damper’s ECU determines the vehicle speed as well as the degree the bike is accelerating or decelerating. Wanting to ensure a bold design worthy of a model that carries both the “Ninja” and “H2” names, the prime styling concept for the Ninja H2R sportbike was an “Intense Force” design. As a flagship for the Kawasaki brand, it needed to have presence, and styling that reflects its incredible performance. But the design is much more than cosmetic. While its edgy styling certainly looks the part, the Ninja H2R and Ninja H2 also possess a functional beauty: each piece of the bodywork was aerodynamically sculpted to enhance high-speed stability; the cowling design also maximizes cooling performance and heat dissipation, aiding the engine’s incredible output; and the ram air duct is ideally positioned to bring air to the supercharger. More than any Kawasaki motorcycle to date, the Ninja H2R and Ninja H2 showcase craftsmanship, build quality and superb fit and finish – right down to the revised, high-tech silver-mirror paint specially developed for these models. 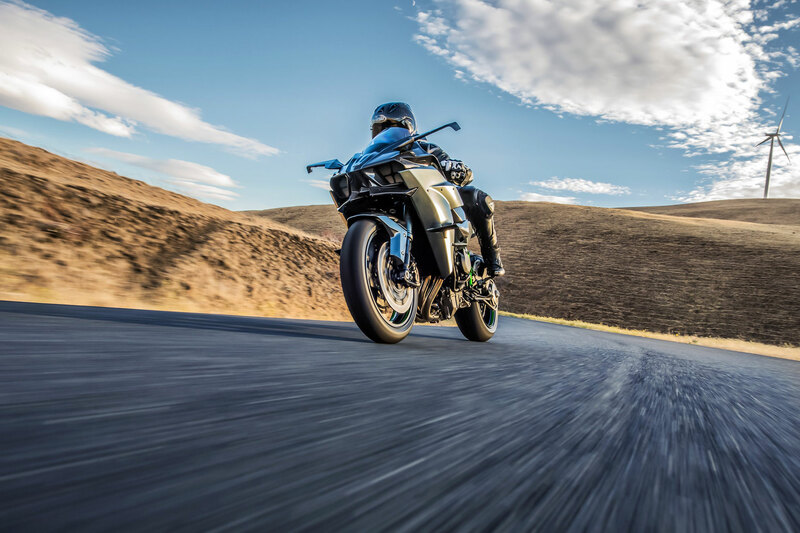 It is no accident that when viewed from the side, the Ninja H2R and Ninja H2 motorcycles do not have the aggressive forward-leaning rake of most modern supersport motorcycles. While supersport bikes use their front-leaning attitude to aid quick steering, at the speeds for which the closed-course Ninja H2R motorcycle was designed, such a posture would create drag, which would hinder top speed potential. The Ninja H2R front cowl is formed from lightweight carbon fiber and is designed to afford wind protection at ultra-high speed, with its tall screen designed to help create a wind-free pocket for the rider. Compact side cowls and under cowls were designed to assist with engine heat dissipation. The rear cowl has an extremely compact three-piece design. The center portion is taller, creating an aerodynamic form that helps smooth airflow as it passes the rider. Wind is also able to pass between the center and side pieces, further reducing air resistance. The Ninja H2 motorcycle uses similar bodywork, although it is not made from carbon fiber. Mindful of its street use, it is equipped with a front headlight, mirrors and turn signals. It is also finished in a revised silver-mirror paint giving a high-quality metallic-style appearance. The Ninja H2R motorcycle features a number of aerodynamic devices to help ensure the front wheel has strong contact with the ground and to contribute towards the motorcycle’s high-speed performance. The design of the upper cowl incorporates a chin spoiler. Rather than being a cosmetic flourish, it produces downforce that contributes to high-speed performance. Likewise, the Ninja H2R motorcycle features carbon fiber wings mounted on the upper cowl in place of the mirrors. Additional two-blade wings appear on the side cowls featuring winglets and further add to the downforce generated by the chin spoiler and upper wings. The advanced, high-tech design of the instrumentation conveys the image of piloting a fighter jet. Handlebar control switches put all mode selection and display options at the rider’s fingertips. The new instrumentation design combines a full digital LCD screen with an analog-style tachometer. The LCD screen uses a black / white reverse display (white characters on a black background), contributing to the high-quality image. In addition to the digital speedometer and gear position indicator, display functions include: odometer, dual trip meters, current mileage, average mileage, fuel consumption, coolant temperature, boost indicator, boost (intake air chamber) temperature, stopwatch (lap timer), clock and the Economical Riding Indicator. New for 2017, bank angle display and max bank angle recording function have been added to the instrument features, thanks to the addition of the Inertial Measurement Unit (IMU). The Ninja H2 sportbike is equipped with all the lights needed for street-legal operation. And with the exception of the bulb illuminating the license plate, all lighting equipment on the Ninja H2 uses LEDs. The Ninja H2R has no headlight or indicator but does have a rear brake light. Unlike a regular mass-production model, the high-precision production of the Ninja H2 and Ninja H2R sportbikes requires greater hands-on participation by skilled craftsmen. So each step, from metalworking, treatment, welding and painting to assembly, fine-tuning and inspection is carefully attended to in order to create a product of superior quality. Within the Kawasaki Akashi Factory in Japan, production takes place in an area dedicated exclusively to the Ninja H2R motorcycle.